16-17 Mar 2017. Palais de Congres, Paris. 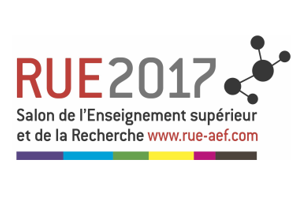 N8 has a substantial presence this year at the major annual meeting of French higher education (HE) and research institutions. 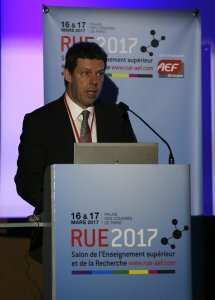 RUE is attended annually by 5000 participants, in Paris. 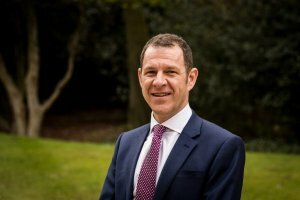 On Thursday 16th, Professor Koen Lamberts, Chair of N8 Board and Vice-Chancellor of University of York, spoke on How UK universities can remain attractive as a destination and collaborator. On Friday, Jonathan Oxley of N8 AgriFood addressed the event on The N8 as a geographic network of excellence. Other speakers include Françoise Bartoli, CEO, AstraZeneca France; Pascale Dumas , President and CEO, HP; Susan le Jeune D’Allegeersheque, Permanent Representative of the United Kingdom to the United Nations; and Jean-Pierre Bourguignon, President, European Research Council.